Pregnancy can often feel like a small human is staging a takeover of your body, and it turns out babies also make their presence felt long after they’ve been born. Science tells us that cells from a baby are passed into her mother’s system through the placenta, while in utero. These cells wander about the body for the rest of that woman’s life and theories about why this happens abound. One stop mum and baby swap shop! Researchers are looking into the future benefits of this cell swapping – and why it might happen in the first place. From the very early weeks of pregnancy, cells from mum and foetus travel back and forth via the placenta. 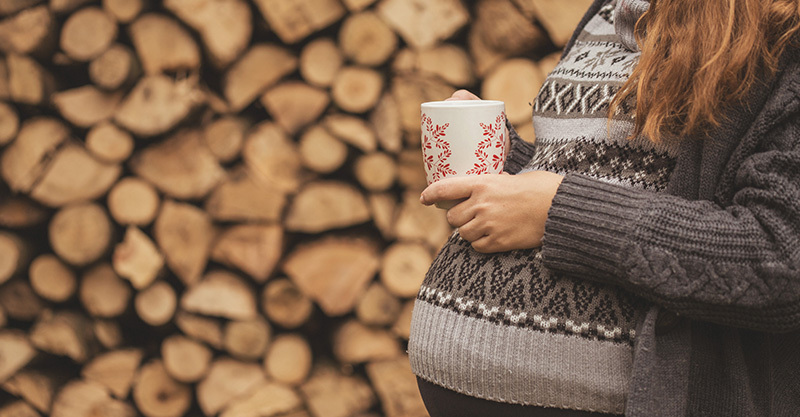 As much as ten percent of the free-floating DNA in a pregnant woman’s bloodstream originated from her growing baby. After birth, this drops dramatically, but cells remain and travel around the body as part of a system known as the ‘microchiome‘. Mother’s cells remain in a baby’s system too and it’s thought that they may impact on that child’s future health. This microchiome – named for the Greek fire-breathing monster with the head of a lion, the body of a goat, and the tail of a serpent – is apparently its own sort of ecosystem, as complex as the often talked of micro biome in our guts. It seems researchers are working hard to find out more about both. Cells are transferred from baby to mother during pregnancy, but are thought to remain for months – or possibly the rest of a woman’s life. It’s a total takeover! These foetal cells have been found in almost every organ of a mother’s body, including her brain and heart! In mice, the baby mouse cells have been found to act as neurons in the mum mouse’s brain. They proved that the cells shift into mums while they’re growing a baby, because they have found male cells in the systems of mums who had baby boys. “Researchers simply scan for Y-chromosomes in mothers who have sons,” the Boston Globe explains. Women carry a number of populations of cells in their bodies – their own cells, cells from their mother and if they have kids, cells from their child/children too. It’s very crowded in there! Some experts think these cells are transferred for reasons that benefit the new baby. One theory suggests that these leftover foetal cells may remain in the uterus in an effort to prevent further pregnancies – and keep attention firmly on her current baby! Scientists developed this theory when they realised that foetal microchimerism is more easily detected in women who have had a miscarriage. Other theories point to the cells migrating to breast tissue in women, possibly to promote more successful breastfeeding. Again, it’s just a theory, but it’s a super interesting one! There are theories that these cells are similar to the mother’s, so they can pass into her system without being rejected by her immune system. There are also questions about whether the transfer of these cells may adversely affect a woman’s health – and contribute to auto-immune disorders and preeclampsia. The jury is still out though, so don’t panic! Also, knowledge is power – and finding root causes can help treat these dastardly things. These cells have been found to cluster around wounds – like c-section sites – and help them heal more quickly. Foetal cells are also thought to protect a mother from Alzheimer’s disease, lower the risk of contracting some cancers. These cells are thought to help mothers live longer too! “Microchimerism appears to be quite ancient in mammals, so I expect there has been important evolutionary forces involved,” David Haig, a researcher with the Department of Organismic and Evolutionary Biology at Harvard told the Boston Globe.